Won a federal jury trial for an insurer as counter-claimant, and won recoupment of a past coverage payout, after a homeowners association filed a bad faith lawsuit based on an inflated property damage claim. 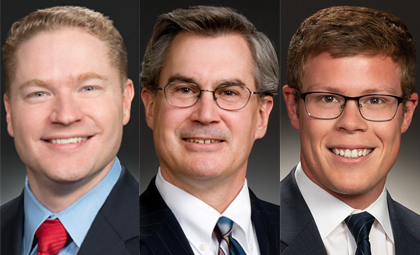 WTO attorneys won a trial for the insurance industry after securing summary judgment for the firm’s client as the defendant in the case. The trial arose out of claims a homeowners association made against WTO’s client, Owners Insurance Company. The association (Sunflower) filed suit after a 2014 hailstorm that allegedly damaged 30 buildings at a condominium complex. Following the storm, Sunflower submitted a grossly inflated claim to repair the roofs of its buildings and other property. The insurance claim demanded that Owners pay two to three times the amount estimated by Owners' adjuster. The claim included many overcharges buried in 70 pages of fine print. At trial, WTO identified hundreds of such overcharges totaling more than $800,000. Owners paid a full and fair amount to the policyholder based on the terms of the policy and the storm damage observed. Despite this, Sunflower sued Owners, accusing it of bad faith. Under Colorado’s insurance statutes, WTO’s client faced more than $5 million in exposure. The Court, however, granted Owners’ motion for summary judgment. Because Owners identified hundreds of instances of claim inflation during discovery, the company filed a counterclaim under the anti-fraud clause of the insurance contract to recoup amounts previously paid. The policyholder argued that it could not be held responsible for the inflated claim because it had relied on its agents to submit the claim, including a public adjuster, an association manager, and a contractor. Following a one-week trial, the jury unanimously agreed that Sunflower had violated the anti-fraud clause. The verdict sends a strong message that the law does not permit claim inflation by insureds or their agents. In addition, on November 15, the Court entered judgment for the client for the full amount that had been paid in benefits, plus interest and costs. Law360 covered the trial outcome and reported on the implications for the insurance industry. Won a federal jury verdict in a trial for an insurer pursuing counterclaims against a homeowners association that filed an inflated insurance claim and sought more than $5 million in total damages. The Court entered judgment for the client for the full amount that had been paid in benefits, plus interest and costs.